A new year is upon us and with that comes the most infamous New Year’s resolution to get fit and healthy in 2017. We are all guilty of this being our top priority and quickly begin the fad diets and mundane workouts in hopes of losing weight. This year I decided to spice my New Year’s resolution and change up my workout routine. I had a co-worker talk about how they compete in a Tough Mudder and how great it is so I decided to check it out. Tough Mudder is 10-12 miles of mud and 20+ obstacles designed to drag you out of your comfort zone. The ordinary will always be there. Why not try for something extra? 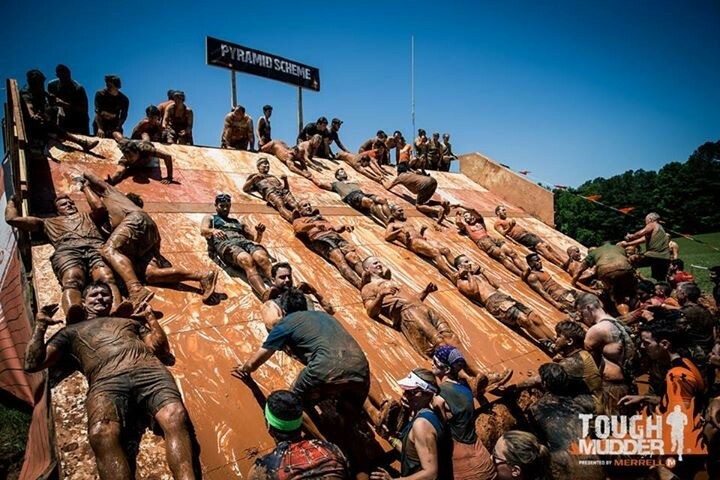 With no podiums, winners, or clocks to race against, Tough Mudder isn’t about how fast you can cross the finish line. It’s about pushing yourself. It’s about teamwork, camaraderie, and accomplishing something extraordinary. I have to be honest with you, when I saw the 10-12 miles for the challenge I looked at my inhaler and immediately said I am not sure if I can handle this. I was discouraged for a moment until I saw that they were introducing a new challenge called the Tough Mudder Half. For those of you who have children, there is also a Mini Mudder for ages 7-12. Mini Mudder is a 1-mile obstacle course mud run designed specifically for adventure-seeking kids. The course gives kids the chance to work as a team, get muddy, and experience the thrill of adventure. Please note that all participants in the Mini Mudder must be accompanied by an adult or guardian. I don’t know about you but I am excited to try something new and exciting for a change when it comes to becoming fit in 2017. I also want to share a special gift to those who would like to join me and escape the ordinary and participate in Tough Mudder this year. Tough Mudder is offering a BRAND NEW 15% discount code for Tough Mudder and Tough Mudder Half events as a way to encourage you to keep that fitness resolution intact this year. You can head to Tough Mudder’s website and find the list of their 2017 events and enter code ToughMudderNewYear17 to receive your discount. Are you willing to escape the ordinary and sign up for an event? Comment below if you’re in and where you will be participating in this year’s Tough Mudder events!